Jul 19 Where do Brussels Sprouts Come From? Ever wonder how Brussels sprouts are grown? We recently visited America’s largest Brussels sprouts grower in sunny Salinas, CA. On 1200 acres of rolling hills overlooking the Pacific ocean, Ippolito grows some of the finest sprouts in the land. Want to hear what we learned? Brussels sprouts take a lot of time and labor to grow. While a batch of sprouts may only be in the store for a few days and your house for a few hours, before it gets to you it’s been in the ground for over five months! After preparing the fields in October, the Brussels start off as seedlings planted in the greenhouse in chilly January before they are transplanted to the field in mid-March. They aren’t big enough to harvest until early July, when many of them are harvested by hand! It’s really hard to out-guess Mother Nature. Despite best-laid plans, a growers timetable always encounters setbacks. For example, heat waves cause the sprouts to grow faster but in less tight clusters, while cold nights slow growing and produce much tighter sprouts. Rain can cause crops to rot in the field, while unexpected frost can kill off young plants. Once sprouts are in the ground, they are truly at the mercy of the elements. The marketplace is just as imperfect as the produce. Farmers aren’t just at the mercy of Mother Nature, they’re also at the mercy of a shifting and oftentimes harsh marketplace for their produce. Grocery stores expect to receive sprouts on rigid timetables that don't take into account things like weather and they also typically only want the elusive medium size of Brussels sprouts. The sad result is that some years, a grower invests a lot of time and labor into planting a new plot, only to lose it to a freak rainstorm, see a heat wave produce jumbo sprouts that stores won't buy, or even get better yield than expected only to find that there is no market for their surplus sprouts. It's stressful and frustrating work being a farmer sometimes! Sustainability is an economic opportunity as much as an environmental one. 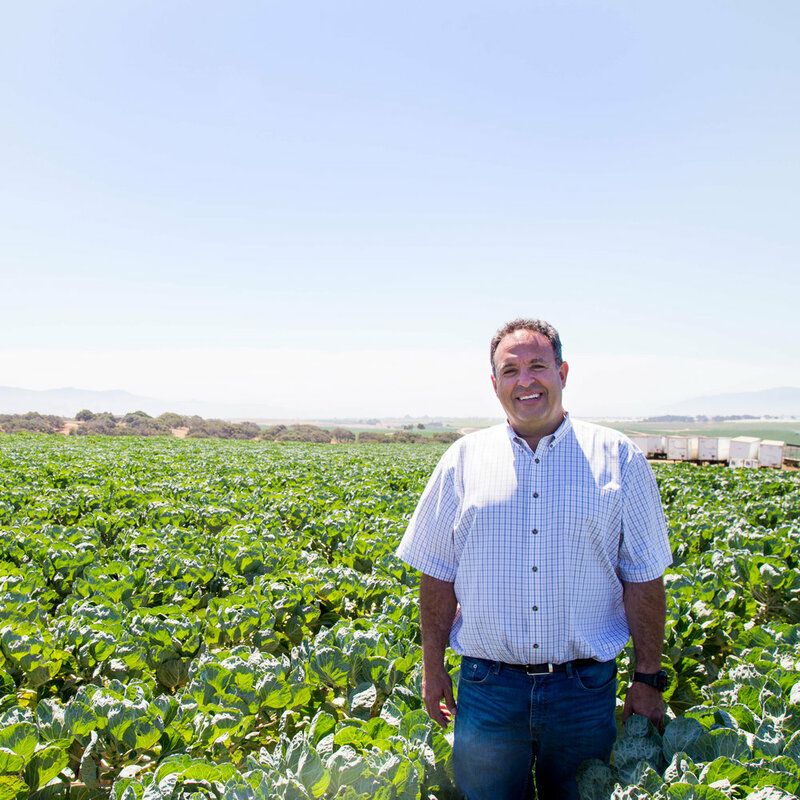 For a hardworking grower like Ippolito, wasting less food is as much about staying profitable as it is helping the planet, though doing one right tends to accomplish the other. Their efforts have paid off. Ippolito was recently recognized with a gold sustainability certificate, in recognition of the fact that on their farms over 98.6% of waste ends up somewhere other than a landfill. Nothing makes you more appreciative for the food we eat quite like visiting a farm. It grounds you, literally. We hope you enjoyed this glimpse into the world of agriculture. We also hope that you love your next batch of Imperfect Brussels just a little more, knowing how many caring hands helped get them to your door. Jul 26 We Are Turning 3: Help Us #Giveimperfect!